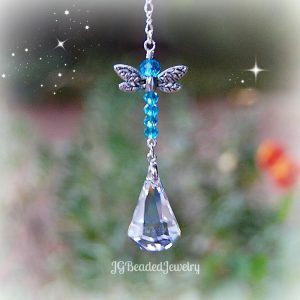 This silver shade hanging prism crystal is uniquely designed for quality, strength and longevity. 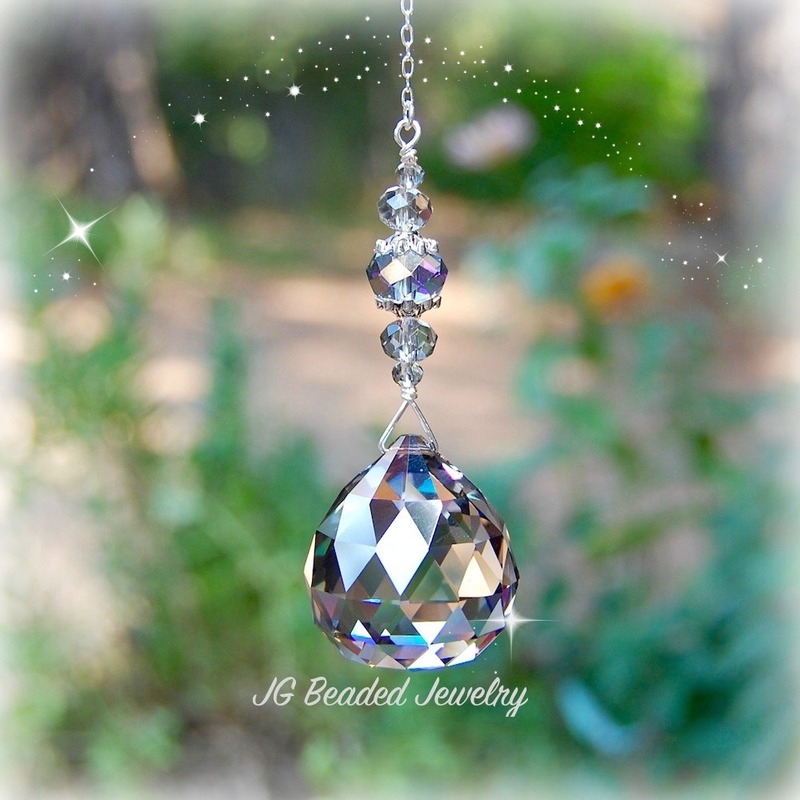 It is crafted with a gorgeous 30mm silver shade crystal ball and wire wrapped by hand with silver shade colored faceted crystals, fancy silver metal beads and larger smoky-blue-grey faceted crystal bead in the middle that has purple-golden hues (pretty). The hanging prism will give off vibrant rainbows in direct sunlight! 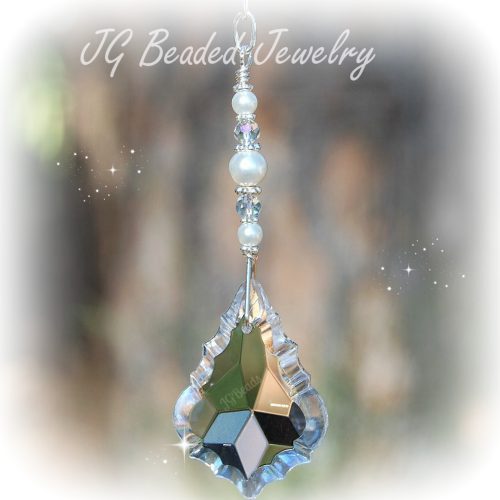 This is a limited edition, once the silver shade prisms are gone – they are gone!